This excerpt, taken from Balentine’s 2019 Capital Markets Forecast, builds on our understanding of the four phases which make up the typical business cycle to determine where we are in the current cycle. Want to learn more? Don’t miss Balentine’s full 2019 Capital Markets Forecast, our signature research piece that serves as the foundation of our investment process. How are we to assess what we see presently, and what does it mean for both the economy and the capital markets looking forward? We could take the standard approach of evaluating leading, coincident, and lagging indicators. However, this cycle is drastically different than those in the lifetimes of most people alive today because of the 0% interest rate policy our economy experienced for seven years (from December 2008 to December 2015). Based on the Q3 2018 GDP growth rate of 3.4%, it is apparent we are currently in the expansion phase of the cycle. However, whether we are approaching the peak is less clear. Although it is historically difficult to gauge a peak since it is usually known only in hindsight, we can do our best to evaluate our positioning given the aforementioned template. Before delving into economic fundamentals, it is important to note developments in capital markets usually lead the economy, as demonstrated in Figure 4. Thus, we cannot dismiss the possibility that the Q4 2018 declines in both equities and bond yields represent turbulence in advance of economic contraction. We do not believe recent market deterioration marks the onset of a substantive bear market. From a capital markets perspective, equity valuations at their peak over the summer did not attain extremes in valuation when compared to fixed income (i.e., equity values relative to bond yields). This is not to say, of course, equities did not get expensive; to the contrary, valuations at recent equity peaks were indeed lofty. However, expensive equities can always get more expensive. For us to believe a brutal bear market akin to 2000 and 2007 lies in our near future, we would need to see equity valuations reach extreme levels. 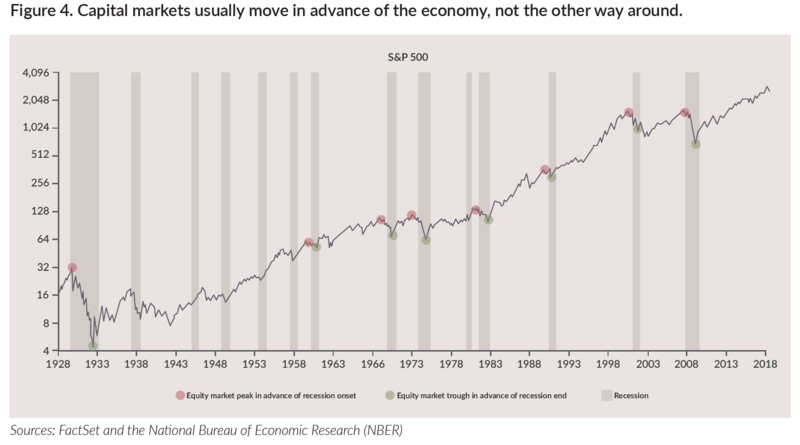 If the fourth quarter capital markets turbulence is a harbinger of recession, it would be quite unique for two notable reasons: 1) the lack of yield curve inversion, and 2) the dearth of capital expenditures to date in the cycle. Although the yield curve has flattened, it has not yet inverted in key duration spreads, something which has always happened going back as far as yield data has been calculated. Recent market turbulence could be a foreshadowing of continued growth at a lower rate or even potentially short-lived negative growth. However, prolonged economic weakness has historically necessitated a more downward-sloping yield curve. In addition to the yield curve, we find it implausible that the economic expansion has completed with such a scarcity of corporate capital spending. Historically, this would be unprecedented, as capital spending is often the engine which drives expansions via productivity gains. 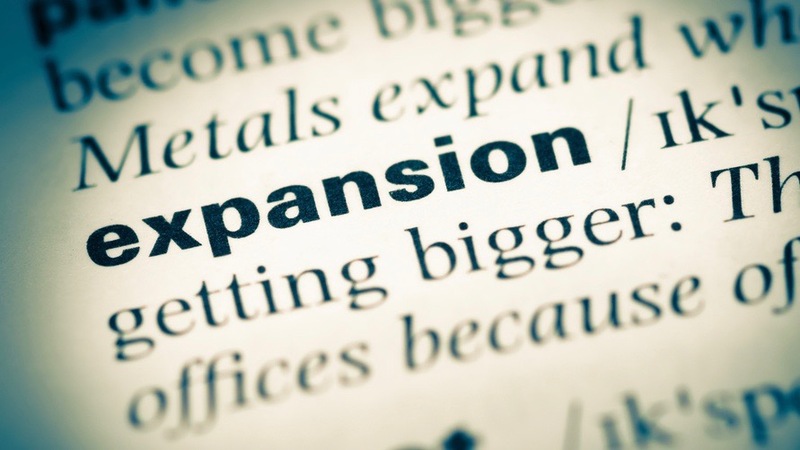 Companies in the current expansion have cut costs to boost productivity while doing little in the way of investing for future growth. During the initial stages of the recovery, this was understandable and in line with prior cycles. This time, though, the driver was the need to whittle away excesses from the prior cycle given the overhang in both debt and excess capacity. Rather than reinvesting top-line growth to drive productivity and efficiency, increases in profitability have come from two levers: 1) looser monetary policy via lower interest rates, and 2) burgeoning government deficits via expansive fiscal policy. In essence, the income statements and balance sheets of corporations have been subsidized by savers and U.S. taxpayers. While these two levers always play a role in an economy coming out of recession, they undoubtedly played a much bigger role in this expansion. Companies have been all too eager to take what has been essentially free money because of rock-bottom interest rates to invest primarily in one “project”—stock buybacks. After all, if a corporate manager can borrow at a nominal percentage rate to repurchase company equity and accelerate earnings per share growth with basically no short-term risk, there is little incentive to take on projects which actually carry risk. As a result, we are now experiencing improved GDP growth, and, not coincidentally, increased capital spending. We believe we are early in the capital expenditure cycle, which could certainly have more room to run (i.e., elongation). 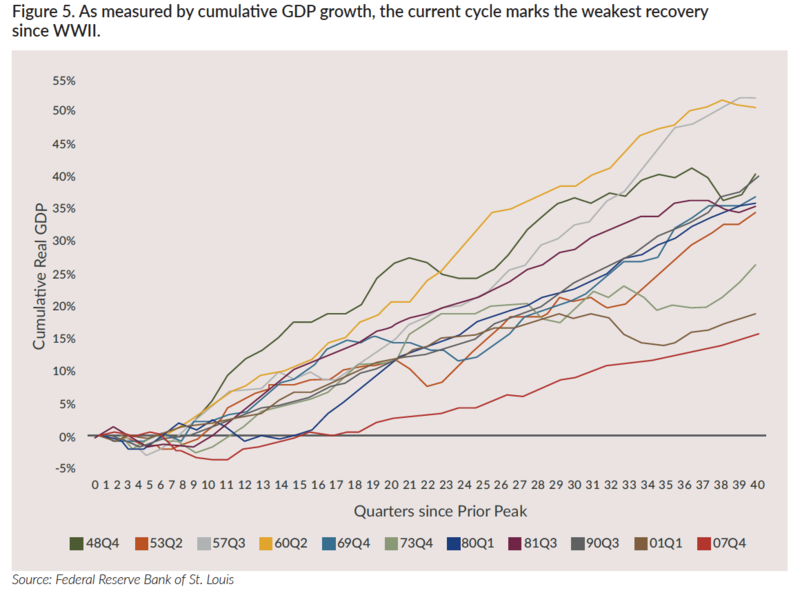 An important point when talking about elongation is that this cycle has been subpar in terms of GDP growth, as shown in Figure 5. Therefore, if we think of growth not in terms of duration but rather in terms of magnitude, it would follow that the cycle can go on for longer than normal. After all, if the economy is destined to grow by a certain percentage during an expansion, it can take the hare route (i.e., fast growth for a short period), the tortoise route (i.e., slow growth for a long period), or some combination thereof. From our perspective, the consumer is strong, with December’s holiday spending providing testament to this argument. Unemployment remains low, and consumer balance sheets are solid as consumers continue to improve their personal saving as a percentage of incomes. (While aggregate balance sheets are bloated, this is more a function of governments and corporations, not consumers.) Thus, consumer confidence remains high. Wages are finally increasing, which can get inflationary if they rise too quickly and the velocity of money becomes too strong. However, given the idleness of inflation, there is a lot of runway here. Corporate investment is poised to continue to grow and business confidence remains high, which should only add fuel to the fire for corporate investment. According to Strategas Research Partners, corporate tax benefits represent approximately $540 billion, of which dividends and stocks buybacks comprised merely $180 billion. This should serve as another catalyst for capital expenditures, which typically cycle for three to five years and are captured twice in GDP. The thought here is twofold: 1) additional revenues should flow to other firms, as one firm’s capital expenditure is another firm’s revenue, and 2) productivity gains should accrue, which is a goal of capital expenditures in the first place (companies invest to either expand capacity or make their capacity, the largest of which is labor, more productive). This should help to offset wage gains, thereby allowing companies to increase salaries without raising end prices.